The most distant individual star has been observed 9 billion light years from Earth, reports a new study in Nature Astronomy. An international team of researchers, were able to discover this star, which they have named Icarus, because its brightness had been magnified by 2000 times by the gravity of a larger object in front of it. 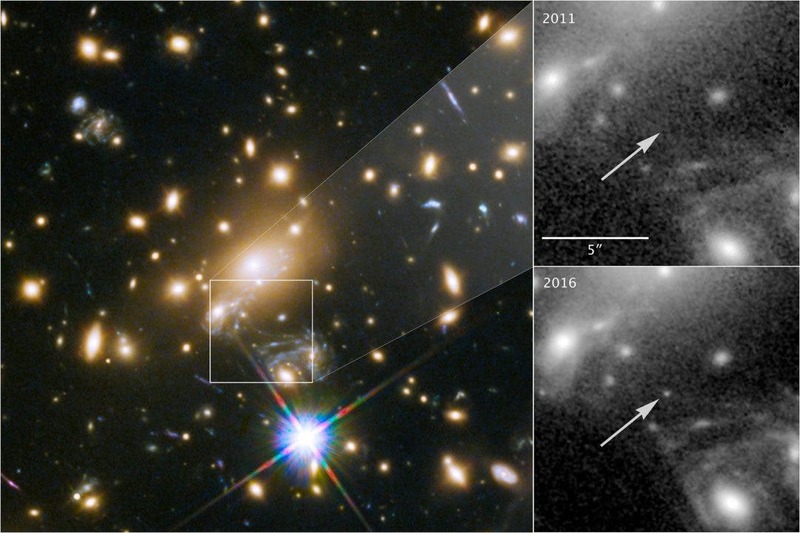 While originally observing galaxy cluster MACS J1149+2223, 5 billion light years away, using the Hubble Space Telescope, the researchers lead by Patrick Kelly, and including University of Tokyo School of Science Assistant Professor and Kavli IPMU Associate Scientist Masamune Oguri, noticed a flickering light in the background. 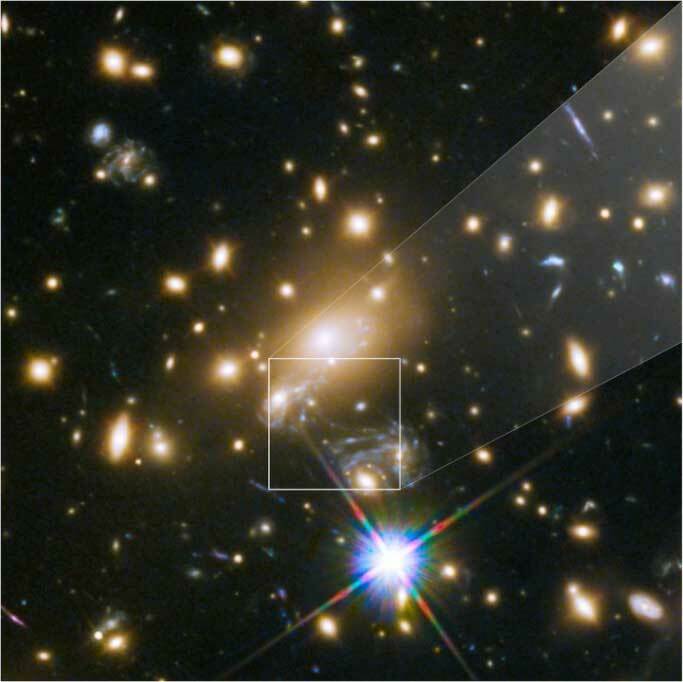 Closer analysis revealed the light was not from a star exploding at the end of its life, but a blue star. In fact, the galaxy cluster's gravity had bent space-time to magnify the star's image, a phenomenon called gravitational lensing, where an object magnifies the light of objects directly behind it. This is an Icarus capture by the Hubble Space Telescope. The left image shows galaxy cluster MACS J1149+2223 and the position of Icarus. The top right image shows how Icarus was not visible in 2011, and became visible in 2016.